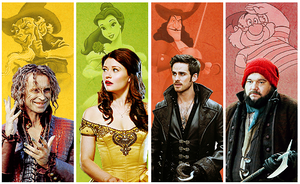 OUAT and 迪士尼 Characters. Once Upon a Time - 迪士尼. 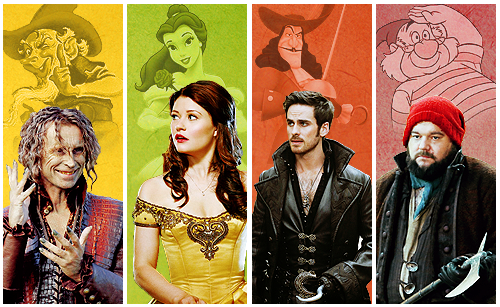 Wallpaper and background images in the 童话镇 club tagged: photo once upon a time disney rumplestiltskin belle captain hook killian jones mr smee. This 童话镇 fan art might contain 精心打扮的人, 西装, 裤套装, 裤装, 穿着好衣服的人, 裤子套装, 穿得好的人, and 套装.